Isabella, a 35 year old female volleyball player, suffers from alopecia areata. As a result she recently started loosing her eyelashes and eyebrows. The eyelashes and eyebrows have a protective as well as an aesthetic function. Additionally, they also establish personal identity. During her competitive volleyball matches the sweat drips into her eyes which has a stinging effect. Her physician prescribes latanoprost to regrow the eyelashes and eyebrows and to help regain her self-esteem. A skin-friendly and compatible vehicle is needed with a viscosity that allows easy application preventing from running into the eyes. Moreover, application on this delicate specific skin area can be challenging and needs to be done with the right tools. Seraqua™ is an ultra-light and readily vanishing serum. It is an ideal compounding vehicle for a broad range of APIs, including latanoprost. Seraqua™ is highly suitable for application on the eyebrows and eyelids. It can be used in combination with Fagron’s pharmaceutical eyelid applicator to maximize ease of application and patient comfort. Isabella received a prescription for latanoprost 0.005% in Seraqua™ from her physician. With Fagron’s latanoprost the pharmacist efficiently compounded the latanoprost 0.005% in 10 ml Seraqua™. After two months treatment the first results are very promising, expecting full regrowth of the eyelashes and eyebrows. Laura has been struggling with the symptoms of mild psoriasis for the past few years. She recently had an interview for a position as a flight attendant - her dream job. She visits her dermatologist to inquire about treating her symptoms with a more comfortable preparation than the one she already uses. Psoriasis is often treated with traditional ointments, which can be very greasy and highly uncomfortable. Especially considering the fact that Laura will have to wear a uniform for stretches of time. Laura’s dermatologist has positive experiences with combinations of topical corticosteroids and emollients. Considering the dryness of the affected skin, he suggests an innovative ointment-based preparation. To guarantee Laura maximum comfort and results during therapy, he proposes Occluvan™, a Fagron Advanced Derma vehicle. The dermatologist asks Laura’s pharmacist to compound clobetasol proprionate 0.05% and dexpanthenol 3% in Occluvan™, an innovative ointment base with minimal tackiness. Laura is very satisfied with the preparation’s elegance and comfortable skin feel. She now has her symptoms under control and recently received the news that she has been hired as a flight attendant. Miguel (age three) has a genuine sweet tooth. She happily eats any treat her mother gives her. Last time they visited their family doctor, Miguel’s blood pressure was up in the 95th percentile for girls of her age. Today, the doctor checks her blood pressure again and diagnoses hypertension. He also tests for diabetes and wants to start Miguel on a dose of atenolol at 0.5 mg/kg/day. Miguel weighs 17 kg, so his doctor wants to prescribe him 8.5 mg atenolol per day. As this dosage is commercially unavailable, he calls the pharmacist to discuss compounding an oral suspension. Although he is concerned about giving young Miguel a suspension with preservatives and a high sugar content, he is not sure whether Miguel will accept his medication without taste masking. The pharmacist has the perfect solution for Miguel’s situation. He suggests compounding a 1 mg/ml atenolol suspension with the Atenolol & SyrSpend® SF PH4 kit. SyrSpend® SF PH4 is sugar and preservative-free and has excellent taste-masking properties as well as a sweet, neutral taste. Beginning with a 1 mg/ml suspension, the dose can be adjusted over time as Miguel develops. Six months later, Miguel’s blood pressure has improved and his doctor wants to try to start lowering the dose of atenolol. The pre-diabetes signs that were initially present have diminished and almost gone. His mother has also cut back on the treats, and Miguel has become a lively young fellow. The doctor hopes to eventually have Miguel come off the medication completely. Josh (35years old) is recovering from a Laryngeal cancer treatment. He’s doing well but he’s having problems swallowing solid food and medication. His wife is currently suffering a bad flue. Since Josh’s immune system is considered to be acquired after his cancer treatment his oncologist wants to prescribe Josh an oseltamivir treatment to prevent him from developing influenza as well. Patient accessibility: Because Josh is having problems swallowing he needs a liquid dosage form, which is not available as a licensed product in the right dosage strength for Josh. Patient acceptance: Josh is experiencing retching when feeling an unpleasant bitter taste in his mouth. Oseltamivir has a bitter taste. Unpleasant side effects: Josh is suffering diarrhea and other gastrointestinal discomfort due to his cancer medication. Stomach distress and diarrhoea are seen with sorbitol containing suspending vehicles. Proven stability: The stability of oseltamivir in a fluid form needs special attention. With the focus on patient, prescriber and pharmacist, Fagron offers unique solutions that add significant value in the individualized treatment of patients with specific needs. Also for Josh. Patient accessibility: With SyrSpend® SF PH4 pharmacists can easily compound a 15 mg/ml oseltamivir suspension, based on oseltamivir capsules. Wich can be used with a broad variety of active pharmaceutical ingredients (APIs). Patient acceptance: SyrSpend® SF PH4 is available in cherry flavour and unflavored, both with taste-masking capacities to cover the bitter taste of oseltamivir. Flavoring concentrates from the SyrSpend® SF Flavoring Kit may be added to the neutral versions to customize to Josh’s individual preference. Unpleasant side effects: Low osmolality of SyrSpend® SF PH4 minimizes the risk of stomach distress and diarrhea. Preparation is free from alcohol, parabens, sorbitol, sugars, gluten and colorants and is also available as a preservative-free powder for reconstitution. Proven stability: Stability tests have proven a 30 days stability of a suspension of SyrSpend® SF PH4 with oseltamivir*. 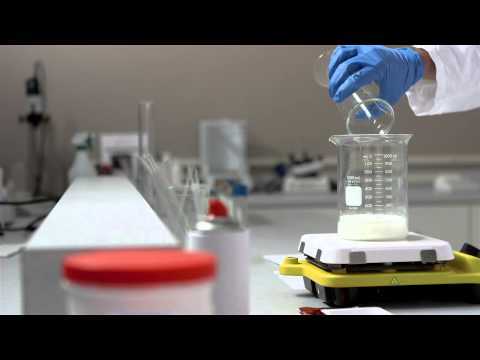 A simple process of mixing the oseltamivir capsule contents with SyrSpend® SF PH4 enables the pharmacist to prepare a stable suspension in just minutes for Josh. Josh his energy level is improving and he’s eating more and more solid food again. Last week he and his wife booked a holiday out of their dreams to Hawaii and he’s looking forward to it. Josh is enjoying life. Our ability to listen to our customers and to work closely together with pharmacists, prescribers and universities worldwide is the foundation of our successful strategy of optimizing and innovating personalized pharmaceutical care. 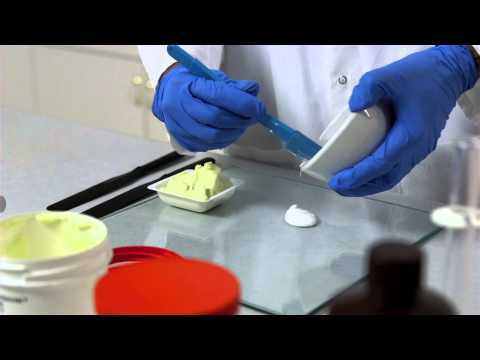 Fagron is evolving together with compounding offering new possibilities for prescribers and compounding pharmacies. The goal is to leverage human and financial resources to drive social change and healthcare and community improvements. The main focus is on improving the welfare of children. Patient care started with compounding. Compounding still matters. The local partner programs shows our appreciation to our loyal customers. Fagron provides training courses to pharmacists to further enhance their skills in the pharmaceutical compounding of customized medication. The goal is to leverage human and financial resources to drive social change and healthcare and community improvements. 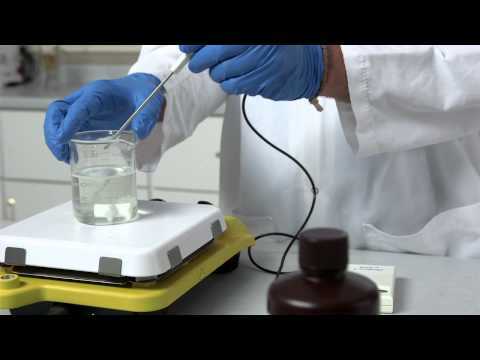 Fagron TV is a channel developed by Fagron to provide more knowledge about compounding.